The leaves are just beginning to turn color. The geese are flying south and the temperatures are getting cooler. 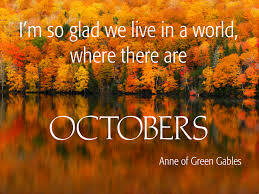 I’m so glad we live in a world where there are Octobers! Enjoy your weekend!